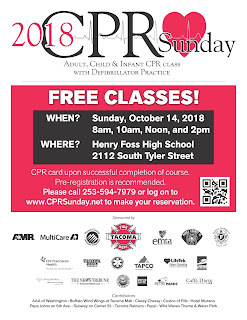 CPR Sunday will be held Oct. 14, at Foss High School, 2112 S. Tyler St. in Tacoma. On September 18, TFD was honored to recognize Ryan Fernandez and Athena Ward for their efforts in performing bystander CPR. The two initiated CPR on a person that had gone into cardiac arrest while working their shift at a local restaurant. 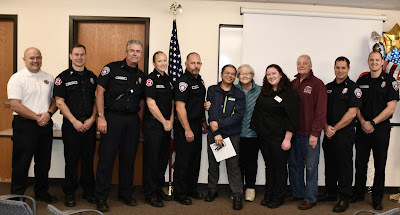 Cardiac arrest survivor Cathy Mattson was on hand to thank the bystanders and first responders that were able to successfully revive her. 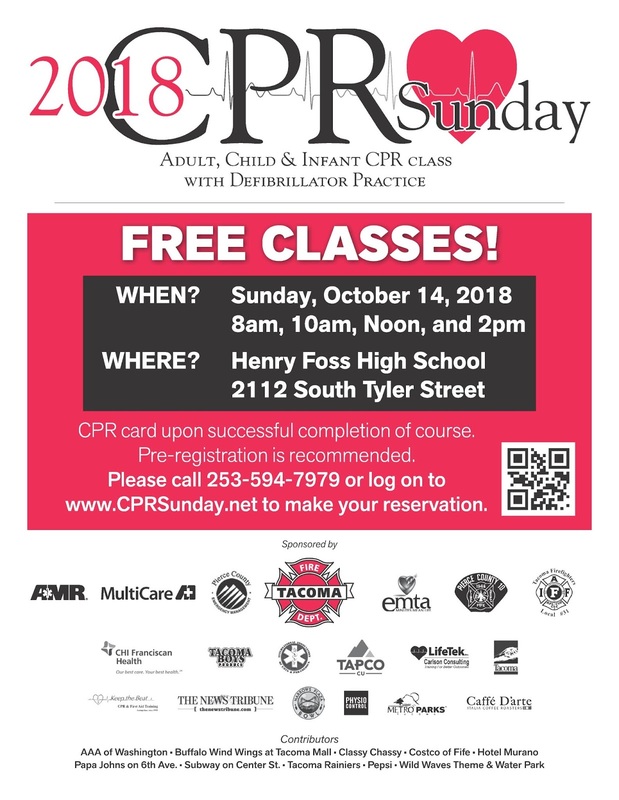 TFD offers free CPR classes twice a month, and once a year at our upcoming CPR Sunday event October 14, 2018. Please consider attending to learn how to save a life!